Carolyn Tawasha has extensive experience negotiating and drafting agreements among joint business owners, agreements covering management, financing and buy-sell matters, as well as those necessary for the purchase and sale agreements and contracts necessary for day-to-day business operations. Carolyn's works primarily with closely-held businesses (some with multiple locations) and provides personalized advice from the planning stage through set up, financing and operations. Carolyn's real estate practice concentrates on commercial leasing, commercial sales & acquisitions and construction & design contract matters. She has many years of experience representing real property owners on leasing and management matters covering office, retail and industrial properties. She also represents tenants with review, negotiation and restructuring. Carolyn taught Business Planning and Legal Writing & Research as an adjunct faculty member of Golden Gate University School of Law. She served as a Member of the San Francisco Mayor's Committee on Housing and Community Development for two years. 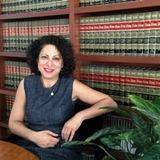 As a law student, she worked as an assistant to Roger Bernhardt on the Real Property Law Reporter. Please enter a valid phone number. You may use 0-9, spaces & the ( ) - + characters. From our offices in San Francisco and Oakland, Kay & Tawasha LLP represents business clients & individuals throughout the Bay Area & Northern California.